THIS Remembrance Day, which commemorates the Centenary of Armistice, Sheldon Maher OAM is proud to remember his grandfather who served with great distinction in Gallipoli and on the Western Front. Mr Maher, who was born in Tenterfield and served in 110 Signal Sqn, Vietnam and now lives in the 2480 postcode, plans to attend the Lismore services. He said Gunner Arthur Ernest Maher DCM, MM and bar, was awarded the Distinguished Conduct Medal for conspicuous gallantry and devotion to duty. In 1917 the Commonwealth Gazette reported Gunner A.E. Maher, "on 14th June 1917, at St Quentin's Caberet (Belgium) in searching a burning ammunition dump which was under heavy shell fire and exploding in every direction, for wounded comrades, one of whom he eventually found with five yards of the dump, and carried him to a place of safety. It seemed impossible for anyone to approach the dump and live, so continuous and violent were the explosions. Sixteen of his party were killed and nine wounded by the first explosion, and he set a splendid example of devotion and courage." He said his grandfather who was born in 1891, enlisted in the Army at Grenfell, NSW on 19.1.1915, at age 24 and was also awarded the Military Medal, on April 5, 1918. During the attack at Dernancourt he showed great courage and resource in attending to his wounded comrades. While his grandfather survived Gallipoli and the Western Front, which claimed so many of his comrades, he said Arthur, who was discharged in 1919, suffered greatly from being gassed. "On August 23, 1915 he was wounded in action at Gallipoli with a gunshot wound to (his) thigh and taken to Ghezireh and re-joined his unit on November 15, 1915," he said. "Later in the Western Front he was gassed on October 1, 1916, was taken to England for treatment and rejoined his unit in France on February 2, 1917." "He died at the age of 52 due to his war service." 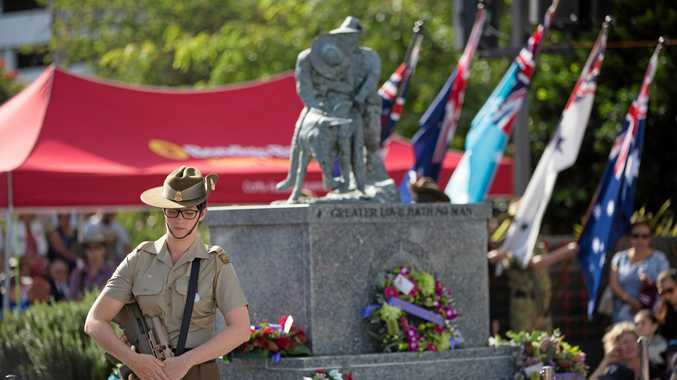 On Sunday at 11am in towns across the Northern Rivers, a bugle will sound, followed by one minute's silence, as Australians remember the men and women who died or suffered as a result of past and current armed conflicts around the world. Members of the Returned and Services League sub-branches will hand out free poppies before Remembrance Day services, and everyone is welcome to attend. Bangalow - From 10.30am at the RSL Community Hall in Station St..
Ballina - 10:40am Gather at the Cenotaph next to the RSL Club in River St, which will include the dedication of 10 memorials plinths. Byron Bay - 10:45am Meet at the Memorial Cenotaph corner of Tennyson & Marvell Sts. Casino - Assemble at 10.45am for Remembrance service at Mafekin Lamp, Cnr of Walker and Barker Sts, Casino. There will be road closures in place in Barker and Walker streets, around the Mafeking Lamp roundabout. Kyogle - A march from the Railway Station to the Kyogle Memorial Institute on Sunday morning, followed by the Armistice Day Ceremony at 11am then a morning tea. 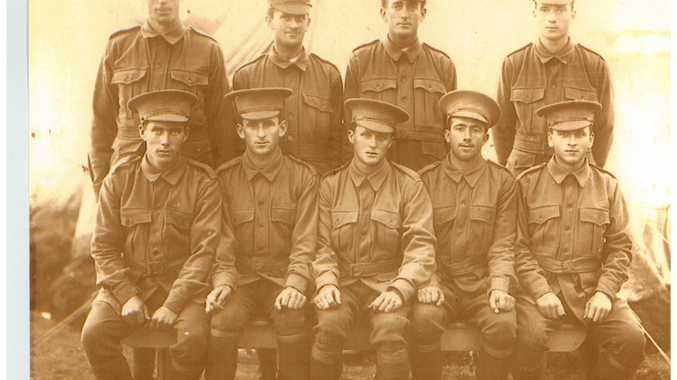 Everyone is invited to view the Centenary of Armistice Exhibition at the Kyogle Memorial Institute Hall which features World War One memorabilia and the records of more than 800 Kyogle District soldiers who served in the war. 9am -Service at North Lismore Memorial. 10:30 Form up for commencement of Main Service at Lismore Memorial Baths. 11am Sounding of community warning fire station sirens and church bells to "rejoice" with the community of the end of World War 1 hostilities and celebrating peace. 5pm -Lismore City Pipe Band recital of "The Battle is O'er" and other tunes in conjunction with Pipe Bands all over Australia. After the Band recital refreshments at the City Bowling Club for those who wish to attend. Further information contact John 0417200758 or Wilson 0400252119. Mullumbimby - 11am Service at the Cenotaph at 56, Dalley St. A highlight of the service will be a women's chorus and the prayer of the children. Murwillumbah - The commemoration held at the memorial 10 St at 10:40am. The service will conducted by student from Murwillumbah state school supported by students from the high school band and the local 225 Army Cadet Unit.